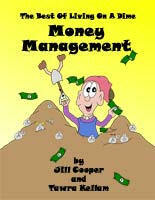 Many thrifty moms are looking for frugal tips or ways to make money. On this page, you'll find articles for frugal moms to save money in each of these areas as well as resources we recommend. Try this weekly menu planner and save money on your meals! From using what you have to visiting secondhand shops, you'll find resources to help. Simply adding a few frugal meals to your menu planning can save you big money. Disneyland or a day at the community park? Frugal moms deserve to feel like royalty, too! Home Decorating on the Cheap! Cheap Christmas Ideas - Christmas does not need to cost a fortune. How to make sure you're not overpaying. Start reducing your debt with just a few dollars a week. Find out how you can get out of credit card debt in no time. Do you really need a family budget? Get more miles for each gallon of gas. What should you plan and save for - college or retirement? Living On A Dime is known as one of the very best resources of its kind to help you get out of debt without depriving yourself. FoodSaver - say goodbye to freezer burn -- forever! Save money! How to make homemade baby food.